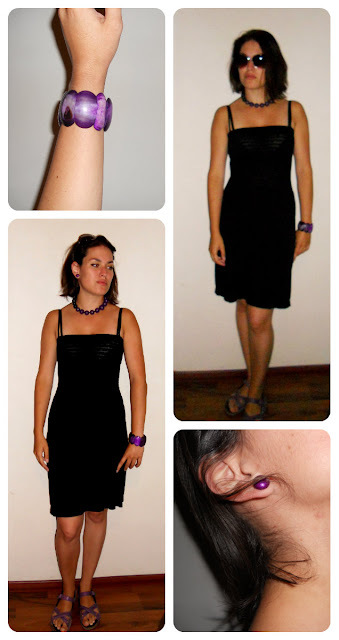 Here is another idea how to make summer dress wearable at work (if there is relaxed dress code) or wherever it is inappropriate to have your shoulders and back naked. Or when it is too cold to have your shoulders naked (..air conditioning..). First you can see my summer dress how I wore it for the city walk during the hot day. Do you wear summer dress to the office too? BTW it is Carling dress. I was in the good mood and the pictures look so much better comparing to those when I am tired. I promise I will try to work on this!